I empower individuals (children, adolescents, teens and adults), couples and families to live a meaningful life by connecting to their values and being their best selves. My training and experience cover a wide range of areas including health, weight loss/weight management and general wellness, social skills/socialization, interpersonal relationships, anxiety, depression, trauma, anger management, assertiveness training, marital issues, parenting and child development and work/career related issues. I am a consultant and trainer and often present at conferences and publish in my areas of specialty. 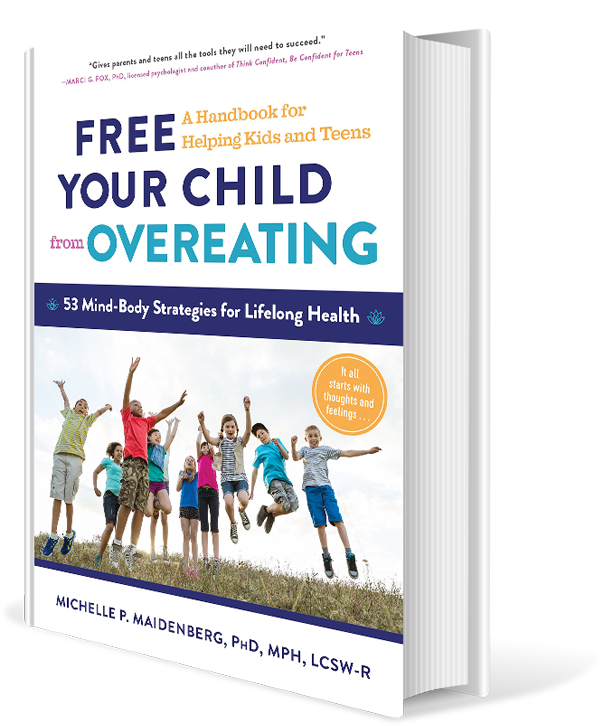 I am also currently engaged in research and writing on the topics of overeating, weight loss and lifelong weight management for kids, teens, young adults, and adults. I am also conducting research on adult and young adult socialization and the acquisition of social skills. My approach to psychotherapy is based in Cognitive Behavioral Therapy, Acceptance and Commitment Therapy, Family System and Relational models. I use a mindfulness based approach to working with my clients. I am an actively engaged interactive therapist and am passionate about the work I do. I thoroughly enjoy working with others to improve their quality of life so that they live life meaningfully. Now offering Virtual Realty Therapy (VR) for phobias. It’s a newer type of evidence based treatment for fear of flying, bridges, spiders, etc. To see my complete bio click here. I am a Certified Group Psychotherapist (CGP) through the American Group Psychotherapy Association (AGPA) and have advanced training in group therapy through AGPA, Eastern Group Psychotherapy Society (EGPS) and Westchester Group Psychotherapy Society (WGPS). Group therapy is offered in a safe, nurturing and confidential environment that allows children, teens, young adults and adults to work collectively on their specified goals and challenges. The groups are structured inclusive of both didactic learning and experiential exercises to reinforce and integrate skills. We strongly believe in continuity of care and will work collaboratively with other practitioners a child, teen, young adult or adult is engaged in treatment with. I teach present moment and stress management skills derived from mindfulness and/or meditative practices such as Shambhala Meditation, Transcendental Meditation, Guided Meditation, etc. These practices facilitate greater awareness, more openness and greater perspective taking, and more meaningful and enhanced functioning. The 4P’s (predicting, planning, putting into action and practicing) will provide an ongoing structure for the lifelong practice of health management. In addition to highlighting different skills, every session concludes with a mindfulness exercise to boost self-acceptance, self-compassion and the practice of loving kindness toward oneself.